Good find. I saw that photo once or twice a long time ago. It is a vehicle captured and on display in the USA (I forget where) and I also remember that markings except for the DAK palm are original. It has probably been restored since that photo was taken. 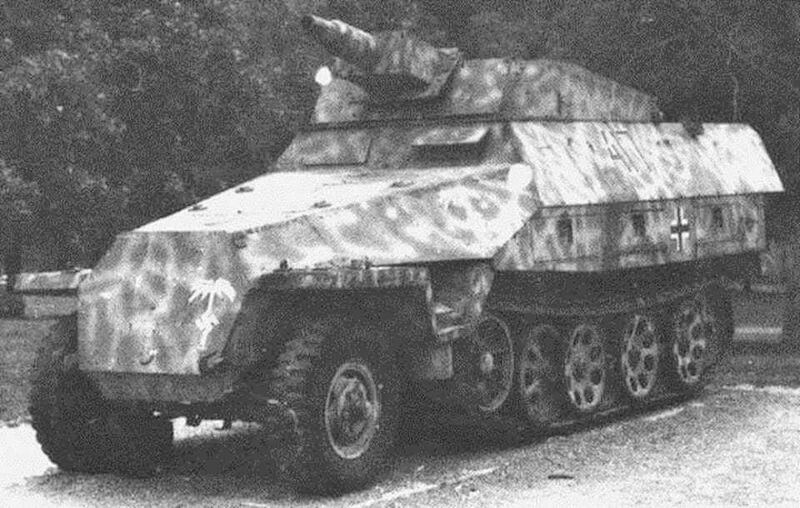 The original unit is the 20nd PzAufKl Abteilung, 20th Pz div. WH-1808565 is the original number plate, tactical marking 417. The division was destroyed in May 1945 east of Prague.